Bob White is an artist and author whose work expresses a misspent youth. Instead of doing his homework, his nose was constantly in the outdoor books and sporting magazines of the day. Consequently, he has wandered between Alaska and Patagonia for over three decades as an itinerant fishing guide, looking for gainful employment. He now paints and writes for a living; which is to say, he’s still searching. Bob has been influenced by such masters as Homer, Sargent and Fournier, and by more recent artists, such as Pleissner, Jacques, and Sloane. He works in watercolors, oils, pencil and ink, grasping the essence of a scene in a brief sketch. His ability to capture a fleeting moment through the eyes of a sportsman has earned him international recognition. His work hangs in the private and corporate collections of sportsmen on six continents. 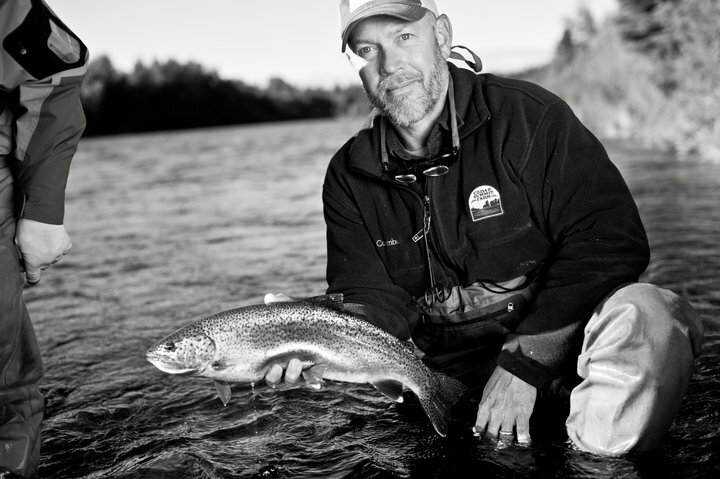 Bob has worked in Southwest Alaska as a fishing and wing shooting guide for over three decades. He has also guided sportsmen in Argentina, and continues to host fly fishing and wing shooting trips to Patagonia, Alaska, Kamchatka and other destinations. The photographs that he takes of his guests frequently appear in national publications and are often used as reference material for field and stream portraits. Bob was inducted into the Freshwater Fishing Hall of Fame as a Legendary Artist in 2009. He was Fly Rod & Reel magazine’s Guide of the Year in 1988. 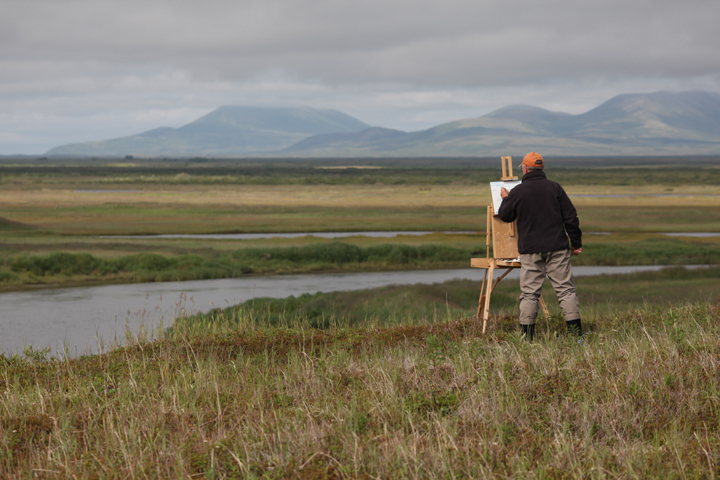 As the 1994 Artist of the Year for the Alaska State Parks Foundation, Bob produced and donated the artwork for the first Alaska State Parks Foundation print. 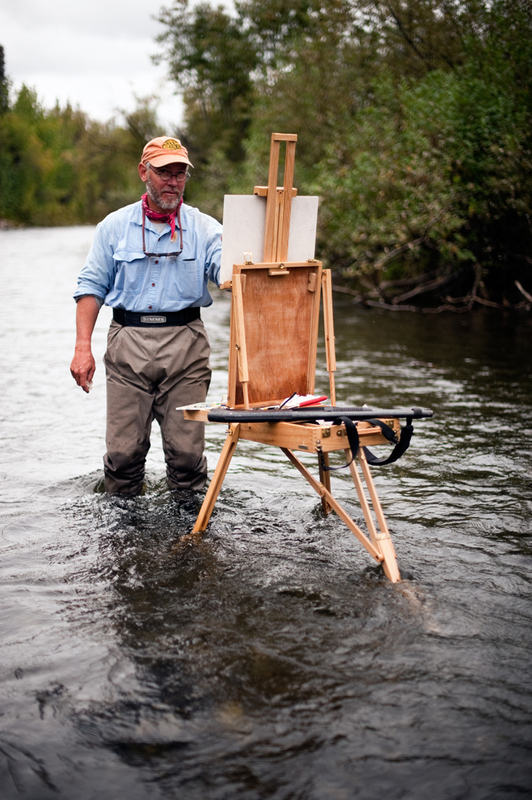 His work has been presented twice in Fly Rod & Reel magazine’s Gallery. 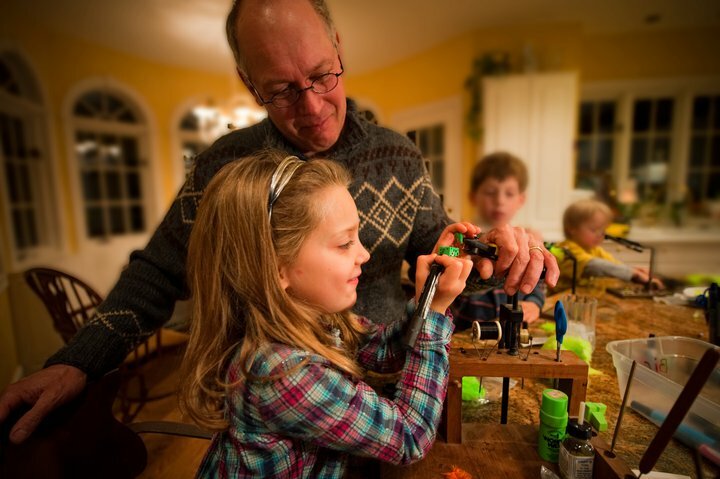 Bob has been featured as a guide and artist on ESPN’s “Fly Fishing the World” and “Fly Fishing America”, as well as on Ron Schara’s “Minnesota Bound”. He currently illustrates the closing column for Ducks Unlimited magazine and illustrates every issue of the Trout Unlimited magazine. He regularly contributes artwork and the occasional story to a myriad of national and international sporting publications. Bob lives in Marine on St. Croix, Minnesota with his wife, Lisa, their daughter Tommy, and their wonderful retrievers, Frisbee and Quill.